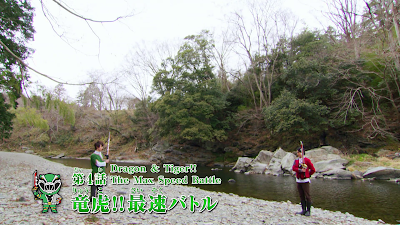 This also addresses Turboranger and the issue of their use of secret identities as superheroes. Although not directly stated but it's obvious that the Turborangers are bound to rules for their own safety and for everyone else's. First -- never use the Turbo Bracer as a toy. Second -- use it only in real situations of emergency. 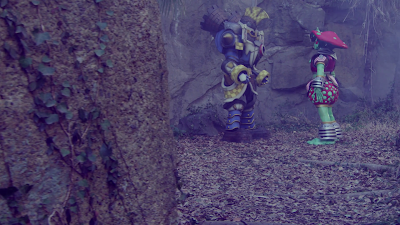 Third -- never tell anyone that you are a Turboranger. I couldn't forget the very face of Riki when he saw Misa's anger towards his sudden low grades. That episode where he and the group have to SKIP CLASS and hide the fact they're Turborangers is such a pressure on their part. They still need to study and comply with all their paperwork and exams --yet they're stuck with their superhero duties too. I would feel so constipated if I were him especially if I had to abide with the rule to never tell anyone that I'm a Turboranger! 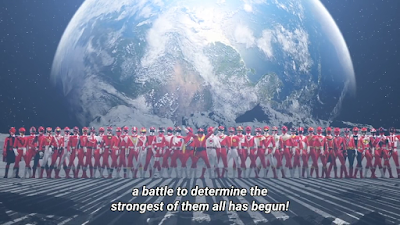 Having a schoolroom teacher in Turboranger indeed fits well with the idea of teenagers chosen to protect the Earth. Although there are episodes she gets silly but she's mostly serious. She plays a role in caring for her students. 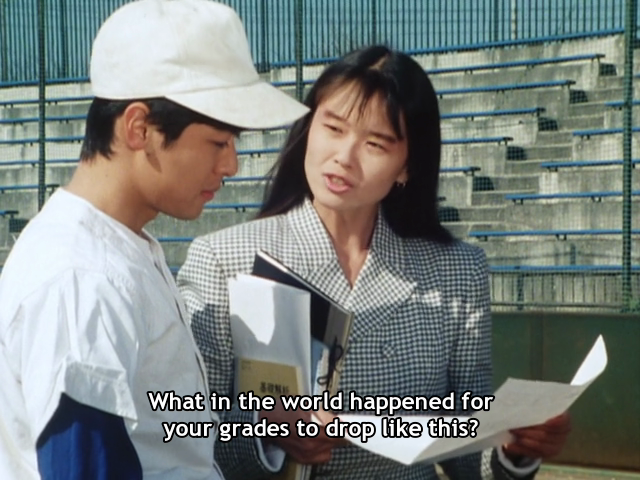 I can't forget the episode where she actually confiscated Riki's motorcycle keys as she's reminded of a dead student of hers. Another was when she manages to get Daiichi to fight Sumo Bouma -- though it's not without any hilarious consequences. Most of her appearance tends to contribute to the episode plot moving forward than just being there. She also shows how to run a balance between her sternness and concern -- making her one great teacher!